I've just got back my IELTS result recently. It wasn't the result that I want but I'm really happy with it. I was quite frustrated each time when I got my result back only to find that my writing was still stuck at 6.5. I know my writing skill isn't that bad. However, I found out the reason why after going through the essay writing lessons on this website. It was really what I was looking for. The types of essay, scoring, and writing techniques just to name a few, they are all very useful. Well, I'm sitting for another IELTS test this coming Saturday and I have confidence to say that I can certainly get all band 7.0 this time! Wait for my good news! Thanks for sparing some time to read this. PS Just a little encouragement for you guys who are trying out there! Don't give up! Believe in yourself, that's what I'm doing currently. Keep on practicing and you'll get there one day. Thanks for your comments on trying to get a writing band 7, and I'm glad to hear that this site has been useful to you. As is your case, a lot of people do get stuck at band 6.5 and want to give up. I explain here in this lesson a bit more about getting an IELTS Band 7 and why it is difficult to get past 6.5. This is often because of grammar / vocabulary errors. 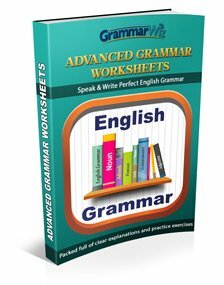 You need most of your sentences to be grammatically correct to get over a band 7 for grammar / vocabulary, and that is quite a difficult task for many students. Most will make fairly regular small errors which is enough to bring the score down. Anyway, good luck with the test this week and it would be great if you could report back here to say how you found the test and to let people know what score you got when you receive your result. First of all thank you so much for the invaluable comments being put on website which are really full of guidance!!! My name is Neel and from India. I started giving IELTS from July,2015 and till date, I have attempted 5 times. In each attempt, I have got overall 7.0 bands, but 6.5 in writing module! From last 2 months, I have been practicing through IELTS BUDDY website and i got impressed with the very organised information needed to tackle the exam. I have bought Writing task-2 book and it is helping me a lot. I am about to finish the book having gone through 9 chapters. It gives me immense pleasure to let you know that I have gained so many tactics from this book in order to efficiently and effectively answer task-2 question. I am really confident this time that I am going to get 7.0 band in writing module with 7.0 in each other section that I need. I got so many responses that I should give up now giving additional attempt, but I have never given up and will continue to follow this trend till I get 7.0 in each. My next attempt is on 24th September,2016. I will do let you know my report, but need blessings from you all that this time I crack this exam with flying colors!!! IELTS Buddy, you have been fascinating friend in this journey. Thank you for making Task-2 book in a very simple understandable, effective and easy-to-deploy manner. Truly appreciate the efforts put in by your team. Royal salute to them!!! That's it from my side. I will be in touch with this site and you all. 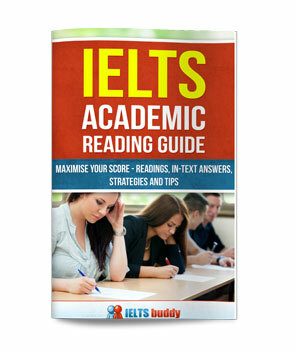 Glad you found the IELTS buddy eBook useful. I hope it helps you get that band 7. I took the ielts exam 4x and writing was always the problem. 1st time 6.5, again 6.5, the third one, 6.0 and finally 7.0. Am glad I kept trying. 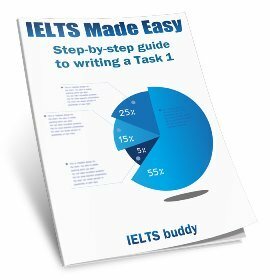 Ielts buddy's sample essays were an excellent marking scheme for both Task 1 and 2. Keep practicing essays, keep at it and one day 6.5 will be in the past, and 7.0 will appear in ur test form. Thank you ielts buddy. Keep doing what you do. I'm grateful I'm not alone in this exam. For me its the 4th time trying and I'm not giving up. Thanks for the support I believe we're gonna make it this time. Put God first. I have taken IELTS for 3 times and each time my writing is 6.5. it is frustrating and the only consolation that I got by having the exam in Australia (3rd time) is that now at least they give you comments on why your score is 6.5. Other than vocabulary, complex sentences,and grammar, you are also marked on coherence and cohesion and the comment that I received is that my conclusion does flow logically from introduction and body content. It is frustrating to know that getting a band 7.0 is not testing your ability to write an essay but also to give the reader your clear position throughout your essay. I've been away from this site for a while now and totally forgot about my username and password hahaha Shows that I have already achieved what I aimed for! By God's Grace I've got 7.5 for my writing after countless IELTS! So don't give up guys. When you give up, you will lose a chance on scoring it. I know it's frustrating but there's always rainbow after the rain. So keep going!! Miss J, Congratulations on the result. Inspirational!! I have been surfing this great website around two weeks now and it has been a great spot to find tips and tricks for IELTS. I am taking my first attempt on March 24th. 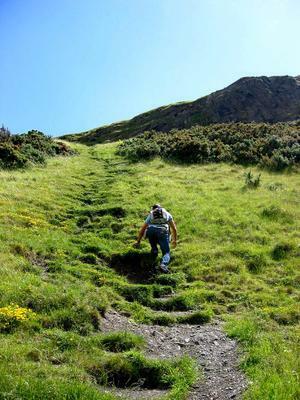 I am already enrolled on a preparation class as the exam is quite expensive, and, as far as I can see, also challenging. In addition, through previous mock tests that I have taken. I can identify myself with everyone in this forum, that the Writing part is the most difficult to achieve a band 7. Moreover if you have not written and you lack of practice. Well, I will keep reading these posts and hopefully hit the big one on my first attempt. Need a Listening: 8 and the rest of them a 7. Getting a band 7.0 is possible !! 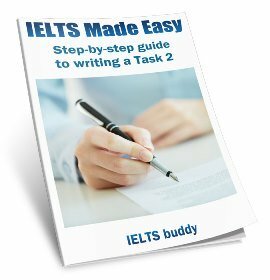 I would like to share my experience and hope my tips works for those who are still struggling with IELTS band 7.0. I have improved my overall band from 7 to 8. My tip for writing is to get a private tutor to teach the structure for essays and how to approach different topics. Once you have the structure, keep practicing as many topics as you can and get your tutor to proofread. I also make use of grammarly website to check on my essays to ensure that that my essay has no grammar mistakes. Moving from Band 6.5 to 7.0 depends on the usage of complex sentences, consistent error free sentences, and maintaining control on your propositions (judgements or opinions). For example, if you agree make sure all your ideas clearly support your proposition from introduction to conclusion, otherwise you will lose marks on coherence. These are some of my tips in getting a band 7.0 and I hope it can be handy to those who are retaking the exams. The biggest problem is the student writes as they are told by the mushrooming ielts centre and normally this is cheap stuff. The moment the examiner reads the opening he comes to know what is going to come. Writing in simple but flawless language, no punctuation and grammatical mistakes and spelling mistakes is killing. Do use simple language, flamboyant words do not fetch you good scores, use simple language keeping track of your punctuation (very important ) and no spelling mistakes. Read the statement carefully and find out where the essay is, plan it, make a mental rough sketch of what to write, how to write, how to present your ideas and finally to conclude, avoid using stereotype language given the centres, keep your originality and good luck. W-5.5, S-6 OVERALL 5.5 so coming may month I am going to book next exam. In-between these two months I have to improve myself. I'm still struggling, anyone please guide to improve my score, I need proper guidance.